Proud Mary Theatre Company presents our first musical: the South Carolina community theatre premiere of “Fun Home” with a LIVE ORCHESTRA. “Fun Home” is directed by Kate Roark, who helmed Proud Mary’s “5 Lesbians Eating a Quiche” and “Spamalot” at Spartanburg Little Theatre. Music Director Janice Issa Wright (“The Rocky Horror Show,” “Spring Awakening,” “Urinetown” at The Warehouse Theatre”) will conduct our live orchestra. “Fun Home” runs June 7-16, 2019 at the West Main Artists Co-Operative, 578 West Main St. in Spartanburg. For more information, visit www.proudmarytheatre.com. Shows are Friday-Saturdays at 8 p.m. and Sundays at 3 pm. 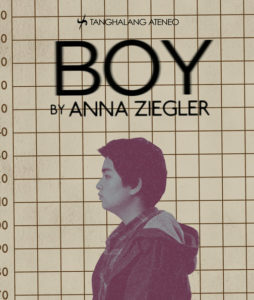 with one Thursday show June at 8 p.m.
Our trans play, Boy, inspired by a true story, a well-intentioned doctor n the 1960s convinces the parents of a male infant to raise their son as a girl after a botched circumcision. Two decades later, the repercussions of that choice continue to unfold. among the tricky terrain of finding love and the confusion of sexual identity. Directed by Robert Fuson.